February seems to have flown by. This month meant taking more time to get back on my feet and a doctor’s appointment to check my physical well-being (I’m fine in case you’re wondering). It also meant encountering some more new products or discovering old favorites and new combinations. Join me in a relay of products, events and other things that I enjoyed over the course of February 2014. Best. Lipbalm. Ever. Period. 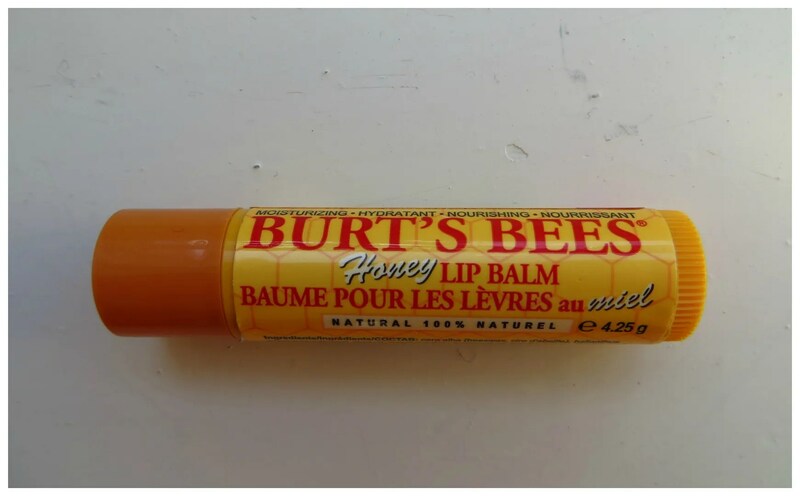 I’ve been in love with Chapstick brand lipbalms for ages, but since I accumulated so many different ones over the years, I decided to let those be for a while and try some other ones that I had lying about. When winter hit my lips got very dry and flaky quickly. I was using my regular Rosebud Salve to combat those symptoms, but it didn’t seem to do much. I picked up this one from my stash because it smelled nicely and because it promises to be moisturizing. And it is. 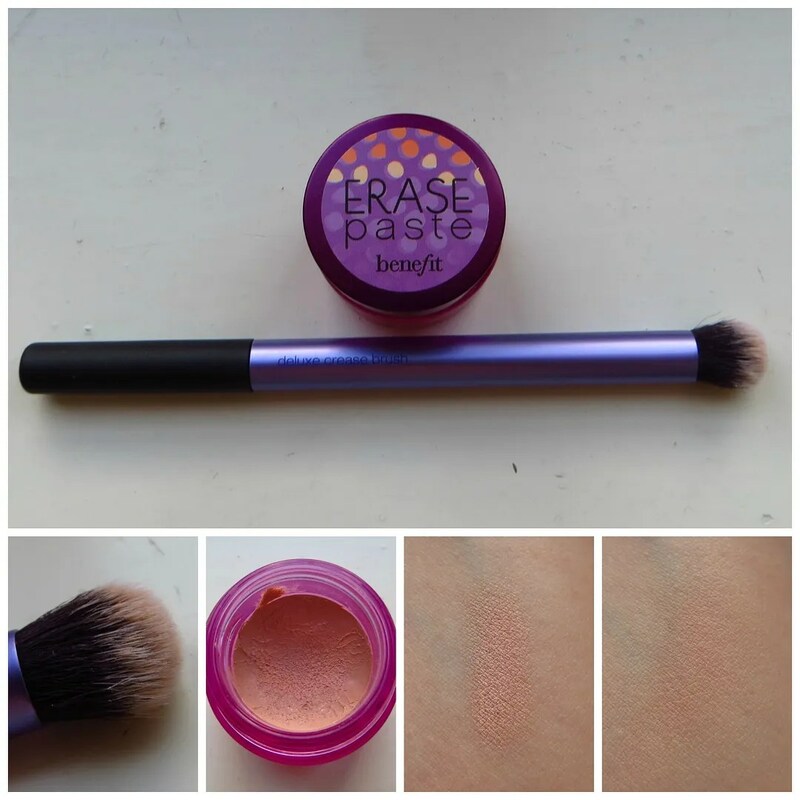 I put this on all day, is not sticky, lasts a fairly long time, doesn’t leave a greasy layer and nourishes your lips. And that’s exactly what I needed. Talking about another winter essential: body scrub. I have a love/ hate relationship with body scrubs. Overall, I just find them too harsh and the fact that most contain plastic and contaminate the environment in this sneaky way, makes me not use them very often. Most scrubs leave my skin feeling rough, dry and mangled. For a while now, my town has a Sabon store and I walked in one day a few months ago because I was curious. I went home with this delicious scrub. 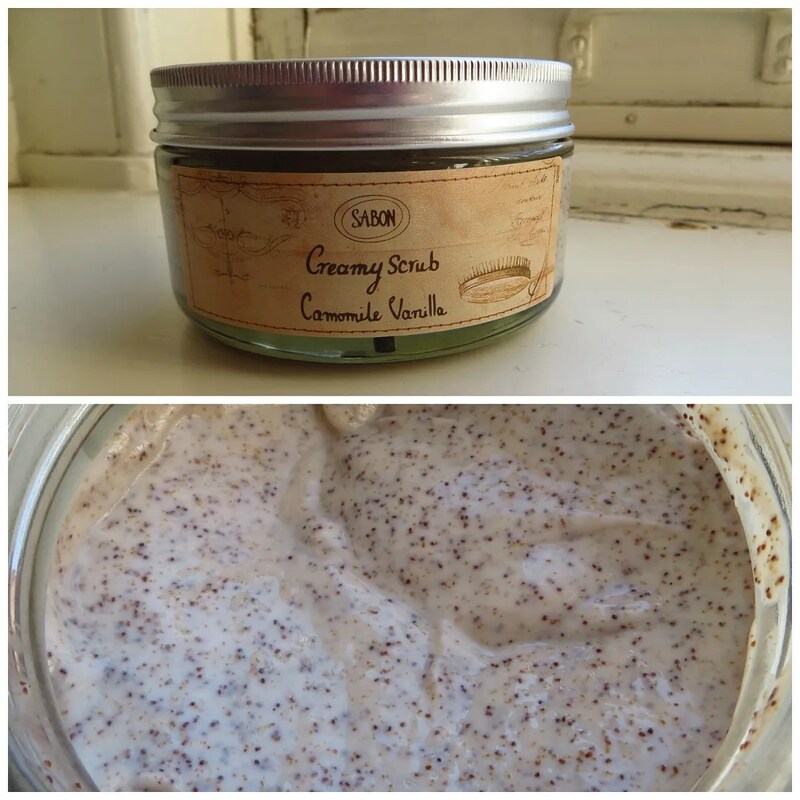 It’s very creamy and nourishing: it doesn’t dry out my skin at all and the scrub particles are super fine which is great for my sensitive skin. Add a very lovely sweet and warm scent and you have the first scrub I actually love. This is just an ordinary notebook from HEMA which I picked up a few weeks ago. I wasn’t sure what to do with it though. 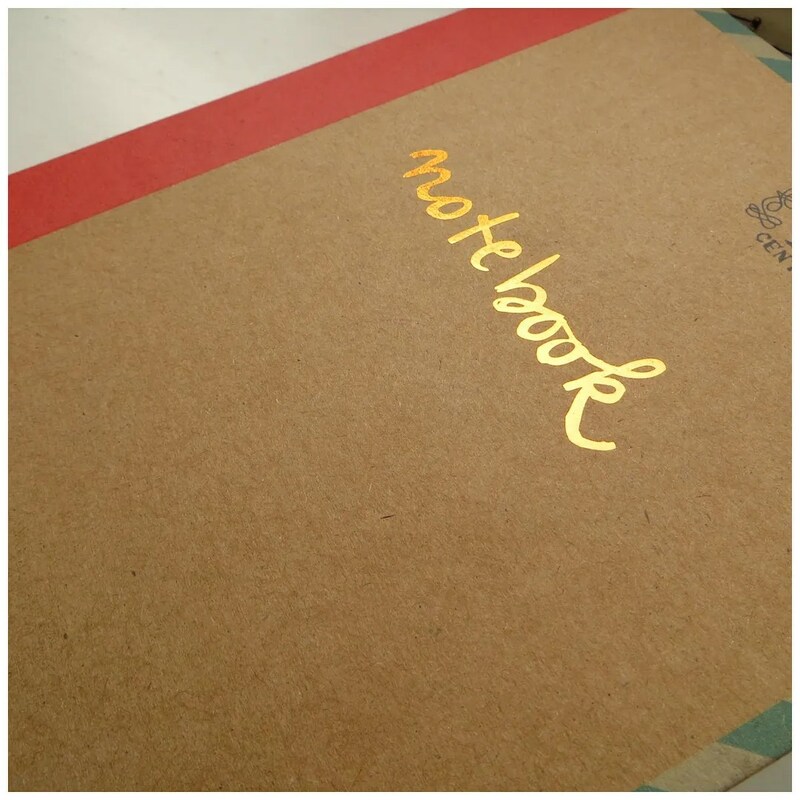 I’m not notebook crazy and if I have no use for them, I end up throwing them away after a while. And then it hit me: I loved making a moodboard as an assignment I got a few months ago, so why not take that concept and apply it to this little booklet? I ended up spending a day a week going through old magazines, looking up my fave quotes and working on my non-existent drawing skills. I made lists, wrote down lyrics to my favorite songs and also wrote down some things I simply had to get off my chest. Curious to see what it sort of looks like? I will be showing you a few pages in my next blog post so hopefully you have some tips on how to make your own little book of inspiration. Isn’t she cute? This is my parents’ dog. 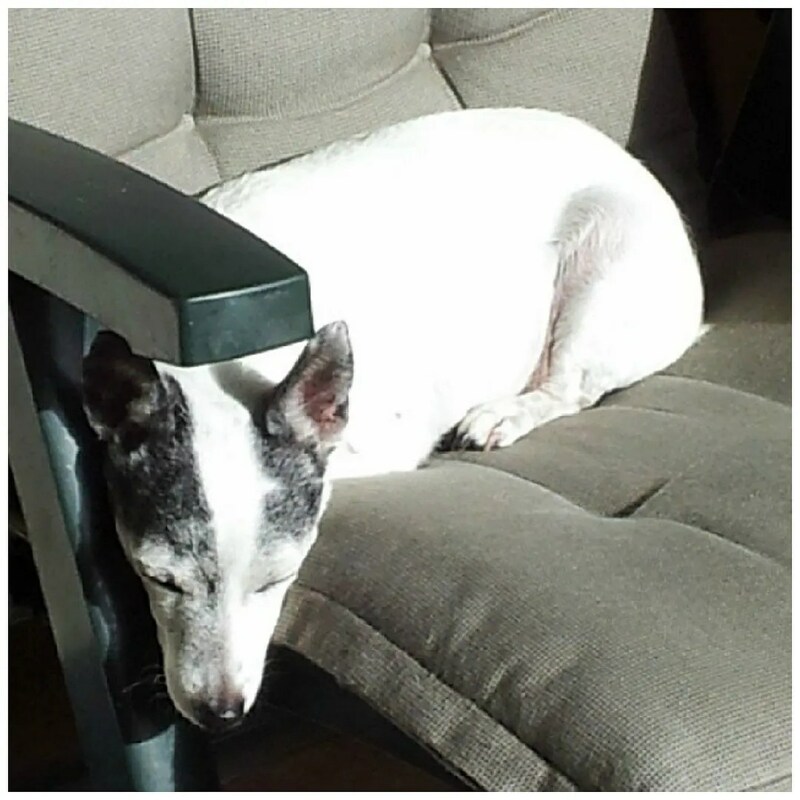 She’s an almost 13 year-old Jack Russell Terrier (her b-day is March 5th) and the cutest thing in the world. She’s spoiled rotten, loves the sunshine and long walks (here she’s sunbathing, her main hobby), and will eat anything she sees. I visited my parents last weekend and this little dog was over the moon to see me. She’s getting old though and thus sleeps all day, is a bit grumpy at times and isn’t as active as she once was, but she’s still adorable. Want to see more Takkie? I made a post almost 2 years ago with some more pictures of her, which you can find here. If you’ve been following this space, you’ll know my favorite drink is tea. I first had this one at a Costa Coffee in London in October and loved it. When I then visited their tiny corridor like store on The Strand, and I found it, I immediately stocked up on 2 packets. 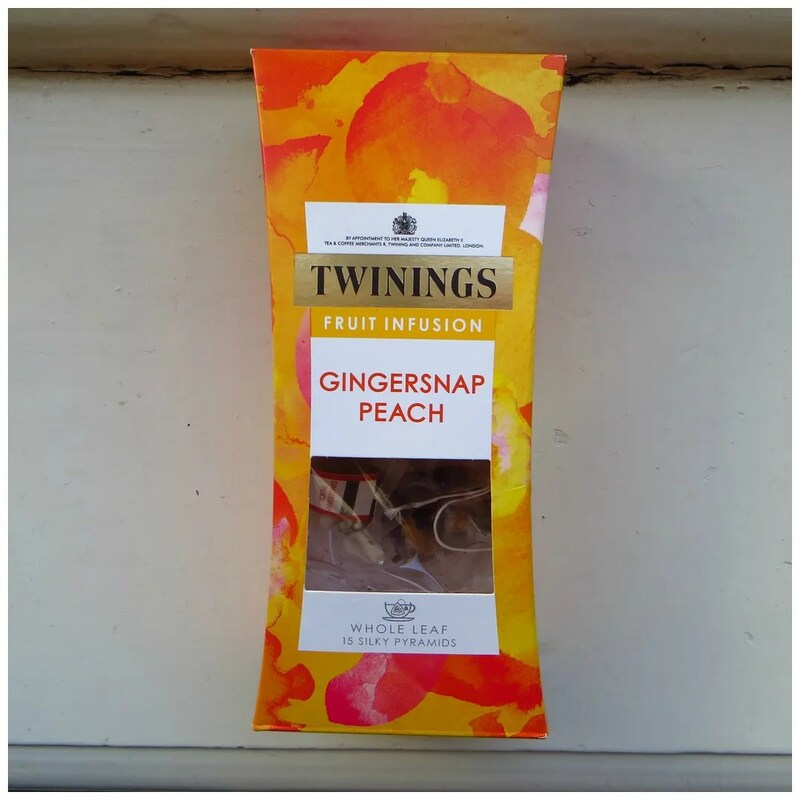 If you like sweet, fruity teas that pack a bit of punch than this is for you. Plus, for me, every time I drink this I think of London. 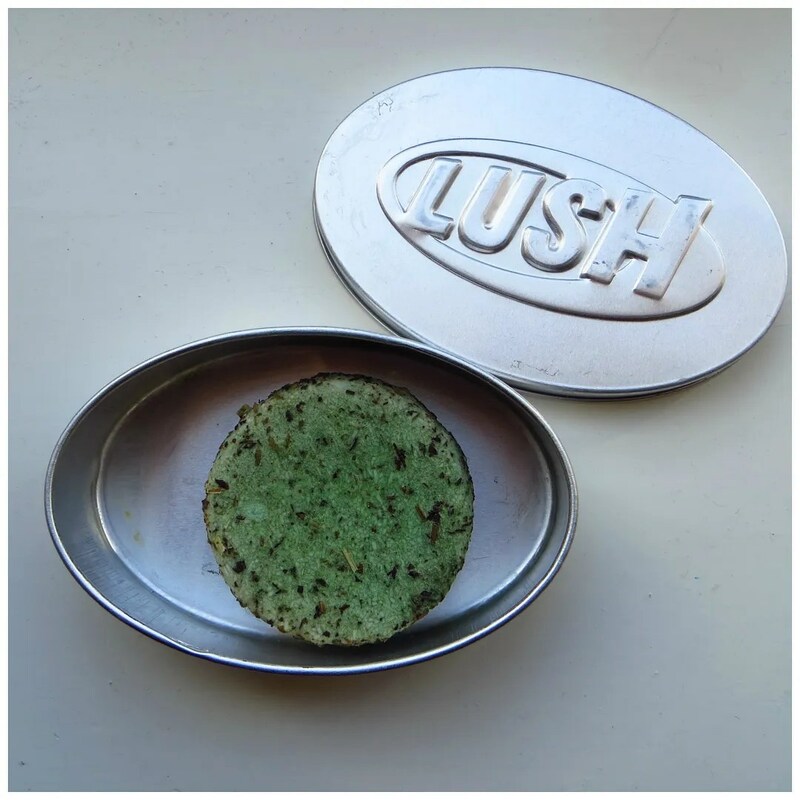 I also discovered an old favorite of mine: this shampoo bar by Lush. I’m not too picky about my shampoo brands and I like to try different things from time to time. I was trying a shampoo by Anatomicals when I my scalp got itchy and I noticed flakes of skin in my hairline after washing my hair. I threw it away immediately and to give my scalp a break, while still cleaning it, I brought out this shampoo again. It really helps whenever I try a shampoo that my scalp doesn’t really like. I reviewed this last year, in case you’re curious. 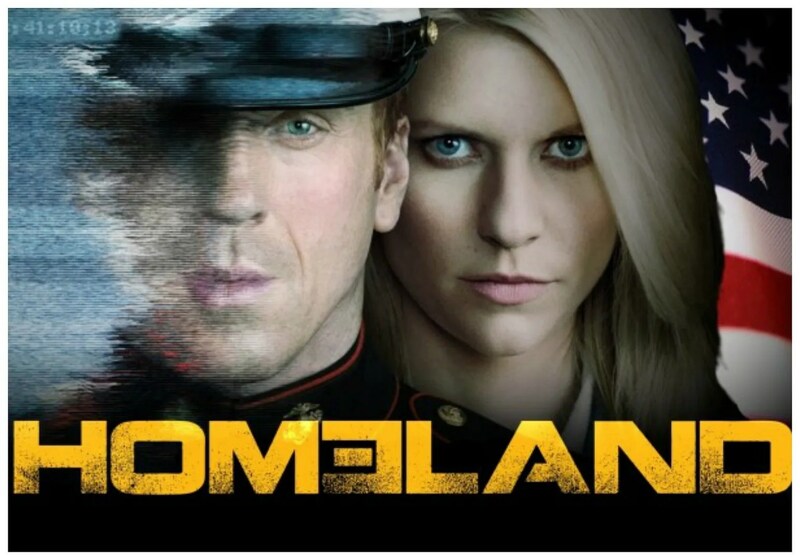 Another favorite is TV series Homeland. I started watching this 2 – 2.5 weeks ago and I’m hooked. I’m currently at season 3 and I’m eating this stuff up. Parts of the storyline are a bit unconvincing though and I find that certain clues, twists and developments are a bit predictable, but this is still very entertaining. I actually stopped watching it for a bit, because it got so intense that I was afraid that if I’d watch some more I wouldn’t be able to sleep. If you like stories that grab you and don’t let go, then this is for you. This is a very particular combo, but one that I love and which combines something old and something new. I’ve had the concealer for ages, but since the jar isn’t too handy (especially if you have longer nails), I hardly ever used it anymore. The spatula that came with it, got lost a long time ago too so that wasn’t helping. Then I decided to order some new make up brushes and in a Real Techniques kit I bought, there was this brush. It’s a dense, fluffy brush with soft, plieable hairs. The shape looks a bit like a finger, so I thought: this would be perfect for undereye concealer. And it is. A full review of the brushes I bought will be up on the blog, but I first want to give them thorough use before I write about them. I got this cream as part of a make up box and decided to give it a whirl before I go back to my trusty La Roche Posay Toleriane Ultra. I have to say I am suprised, which is why it made my favorites. The scent is nice and fruity and the texture is thick and creamy. It does take a little while before it is absorbed by my skin, but this has not given me break outs or an allergic reaction. 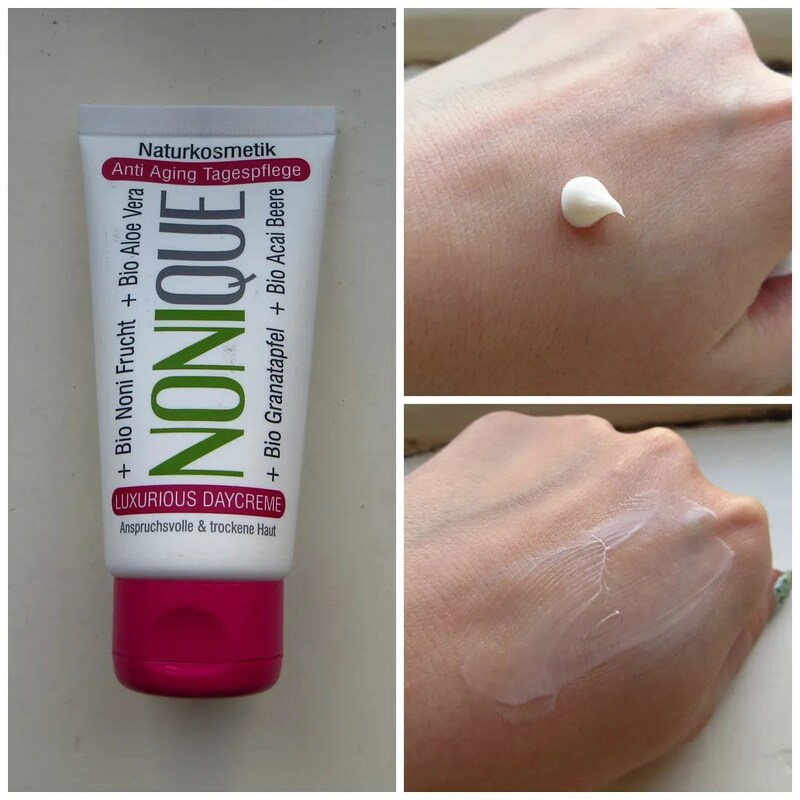 It leaves my skin feeling smooth and nourished. Since it’s fairly thick I find it gives me that bit extra that I need during this time of year. The anti-aging bit, if it works, is an added bonus. Concert season has started back up and I saw my first show of 2014 last week. 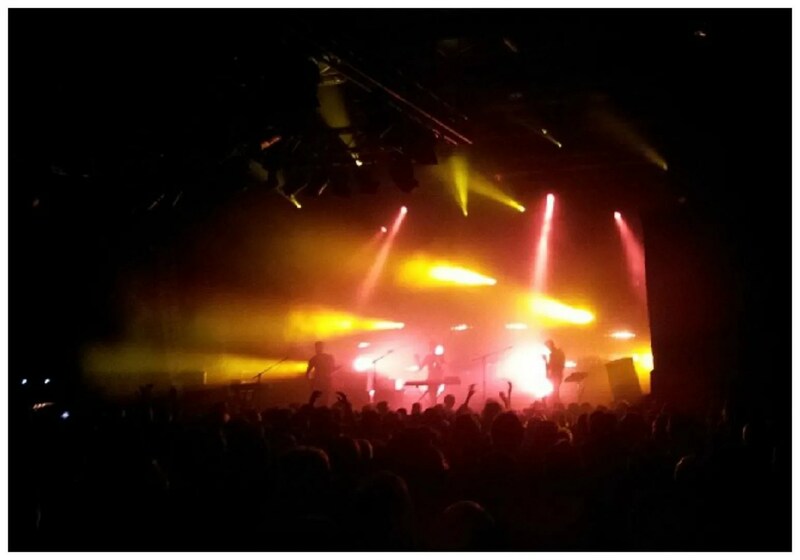 I saw The Boxer Rebellion at Effenaar and loved every minute. The band was a bit bland on the crowd interaction front, but the music made up for it. And it reminded me how much I love going to concerts. Luckily I have another 3 concerts lined up for the rest of the year, two of which will be this March. So yeah, I’ll definitely get my fix. Wowza! It’s been ages since I last did one of these. November to be exact. And that tells you how busy I’ve been and how much work it is to scramble out of my little hole. I had literally no time to find any new music since the start of the school year. I bought the odd album here and there, but to scour the Interwebs, looking for new and mostly indie stuff? Na-huh. I had to put that on the back burner. But do not fret: by now I’ve had the time to go through all the indielists and pick my favorites. Here’s a selection of some songs that I’ve been digging lately. I’ve loved BBC since their first album came out. I purchased it years ago during one of my trips to London. Then they went acoustic on their second album and that had me go: huh? whut? I have the album and I like it, but Bombay Bicycle Club is good at making catchy indie rock songs with good rhythms. And that is exactly what they are doing on their latest album and the lead single off that album. This song is by no means ‘new’, I’m sure I heard it before I picked it from my list, but I just love it. It has nearly 2 million views on Youtube so I’m sure you may already know this. I just love this guy’s voice. Strong, powerful just like the accompanying video. Folky music is always high on my list. This song has a bit of a twist though. The song starts as a folk song, but when the chorus hits you get something more poppy and catchy. And after that it changes into something that reminds me of Björk: the vocal pull the song into a different direction and gives the song its edge. Catchy, yet a bit strange at the same time. The video is aptly strange. On to some more guitar flavored sounds. This 60s psychedelia inspired group has been graced with a spot in my ever expanding music collection because I bought their album a few weeks ago. If you like Tame Impala, The Coral, The Byrds and any such bands, you’ll most certainly like this. It even nods into the direction of early Beatles stuff. So yeah, this is aces in my book. Thumping basslines are still high on my list and this song fuses a pulsing beat with dubstep breaks, the sounds of shooting lazer beeams, soul vocals, reggae rhythms and rap. Yet, somehow it never sounds over the top or overdone. It’s a well-balanced track that suddenly gets your head boppin’. This song is amazing. It sounds new and fresh, yet samples Mr. Mister’s 90s hitsong Broken Wings. It sounds a bit 80s too. To me, this is the perfect mix of retro and new. And then an old favorite hits it big. I have known Flume for quite some time now, picking up the odd song here and there from my indie playlists. Now, this chillwave music has found its way into my BodyBalance class. Yes, the warm up to the current LesMills work out programme is done to this song. I thought it sounded familiar, looked it up and yup, this is the one. Well, no surprise here I guess. My go to current dance song. That’s what this is. This song just makes me want to get up and dance. This is Britney at her finest and the video is just off the chain! Anyone care to buy me a ticket to see her in Las Vegas ;-). I love me some TDCC. I knew their music, but hadn’t given it a thorough listen until I saw them live at Rock Werchter last summer. Just before I went there I saw an interview with the band at Glastonbury which made me think of them as a bunch of stuck up brats (which they probably still are). But they are GOOD. They really surprised me and whenever I hear their songs now I remember the great festival, a summer filled with friends and fun times. This song pretty much embodies that. To end this post, I thought I’d close off with something I like to call: my late night jam. A few weeks ago, someone in my Facebook timeline posted some of his music and I’ve been hooked ever since. His music is beauty captured in song. This song in particular is very sad, but it’s insanely pretty. I like playing this to unwind after a stressful day. It helps me to empty my head and get a good night’s sleep.